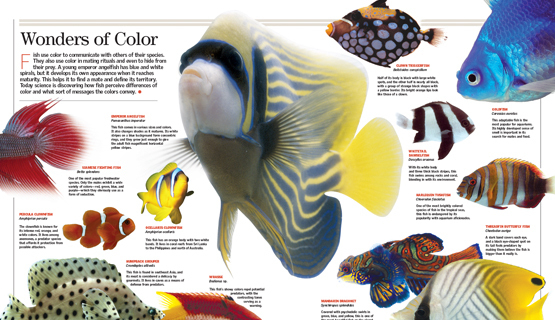 Science comes alive with the Encyclopædia Britannica 6-Book Interactive Science Library. Though it comes with six 80-page science books covering Earth; humans; space; animals; the sea; and dinosaurs, reptiles, and birds, it’s more than just books. It also includes an SD-X Interactive Reader, a pen-like device that reads text, defines words, and activates interactive quizzes and activities as kids move it around the pages of each book. There are more than 4,000 audio touchpoints with 17 hours of audio among the six books. The set also comes with two wall-size interactive posters for more to explore outside of the books. The books themselves have lots of great content with detailed photos and illustrations, but the addition of the SD-X Interactive Reader provides even more content and helps reinforce what kids are learning as they read. This set would make a nice complement to a child’s science curriculum in school and as a way to continue the science learning during summer break. Naturally, kids who are interested in science will enjoy this comprehensive set, but the interactivity is engaging enough for just about any kid. The Encyclopædia Britannica 6-Book Interactive Science Library correlates to science curriculum typically taught in grades 5 through 8, so it would be appropriate for kids ages 9–14. Britannica Digital Learning (BDL) provides reliable, high-quality solutions to strengthen student achievement and educators’ ability to teach to best practice. BDL experts produce curriculum-aligned resources for all ages from elementary school to college that make creative and purposeful use of technologies widely used in schools today. Products include: Britannica School, Britannica Academic, Pathways: Science, ImageQuest, and e-books. BDL is a division of Encyclopædia Britannica, Inc., with headquarters in Chicago.